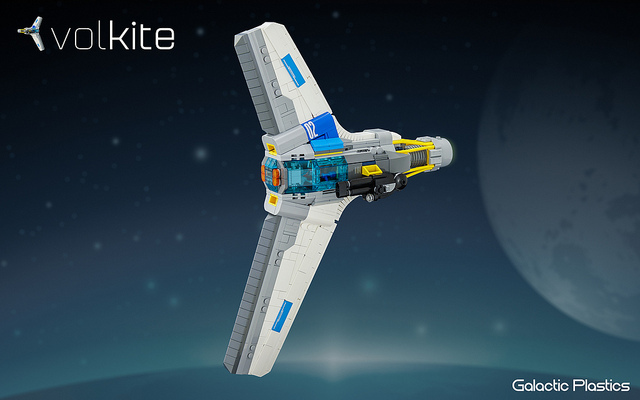 Nick Trotta’s series of detailed and unusually shaped starfighters continues with a vertical fighter named Volkite. The verticality combined with excellent color blocking and smooth transitions between sections of the craft make an eye-catching model. On his YouTube, Nick shows a couple videos about Volkite. The video below shows how each chunk of the starfighter fits together (about 18 minutes long). It is a fascinating watch as you can see how the smooth transitions between components are achieved.